Ellie joined the Primary Care Research Group in May 2013 as Research Administrator on the MIR Study, a randomised, double-blind, placebo controlled trial investigating the addition of Mirtazapine to SSRIs or SNRIs for treatment resistant depression in primary care. MIR was a multi-site trial led by the University of Bristol. Locally the PIs at UEMS were Professor John Campbell and Professor Chris Dickens. In September 2015 Ellie also took on the role of Research Adminstrator for the Pharmacist in Primary Care Project. This was a one-year NHS Education South West-funded project to design, deliver and evaluate a programme of CPD study days for registered pharmacists who wish to develop their knowledge and skills, designed to cover areas related to potential roles in primary care. 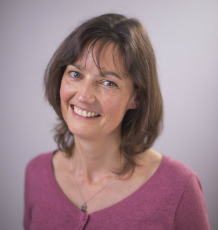 In October 2016 Ellie took over the administration of Dr Chris Clark's InterPress-IPD project as well as providing more general administrative support to the Primary Care Research Group.